This concealer, which used to be known as erase paste, is my new favourite for under my eyes - it instantly lifts my face when I pop this one on my eye bags. It has a slightly salmony tone to it, and that really counteracts the bluey-grey you can get under the eyes. 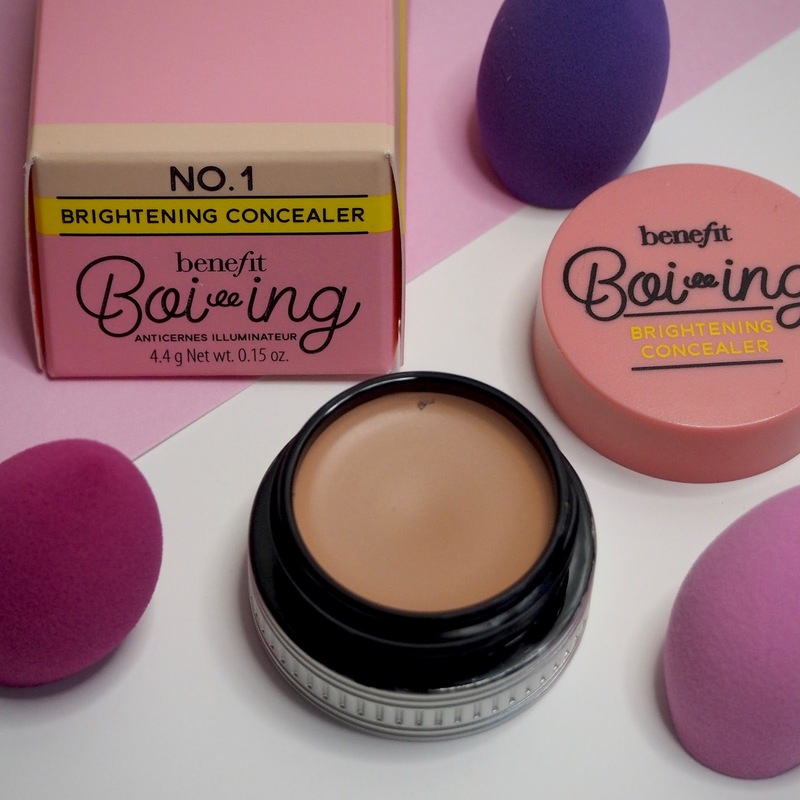 It has a nice creamy texture, which is perfect for using in drier areas, and the coverage is just enough to correct without looking over-done. I only use this one under my eyes, and that's what it's meant for, but you can use it on other areas - certainly anywhere you want to brighten. 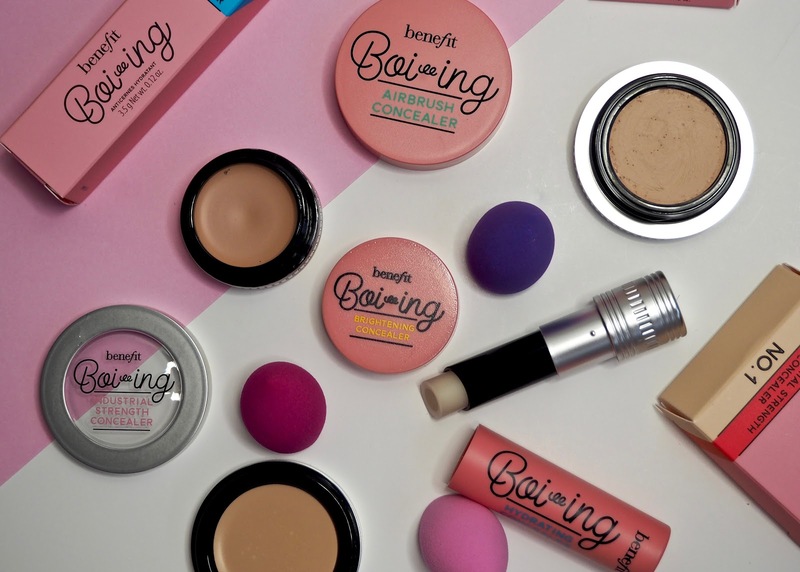 This concealer was the original Boi-ing from Benefit, and I can't believe I'd never tried it before! 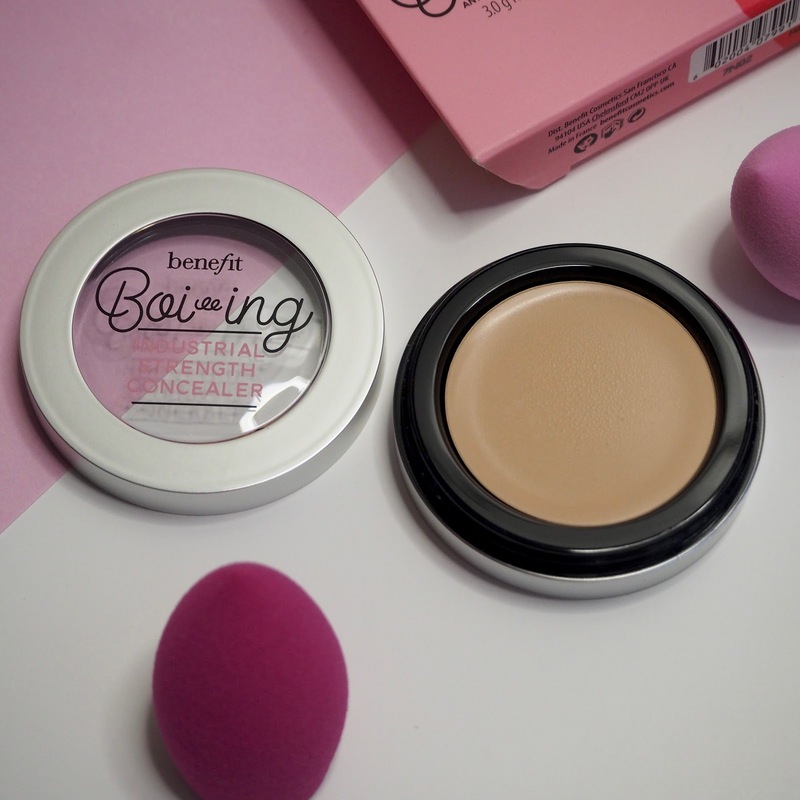 As the new name 'industrial strength' would suggest, this is the heavy-duty bad boy of Benefit's concealer offering. It's a proper full coverage concealer and really does what it says on the tin. I have quite an uneven skintone with a lot of redness that I want to cover, and this really does the job. 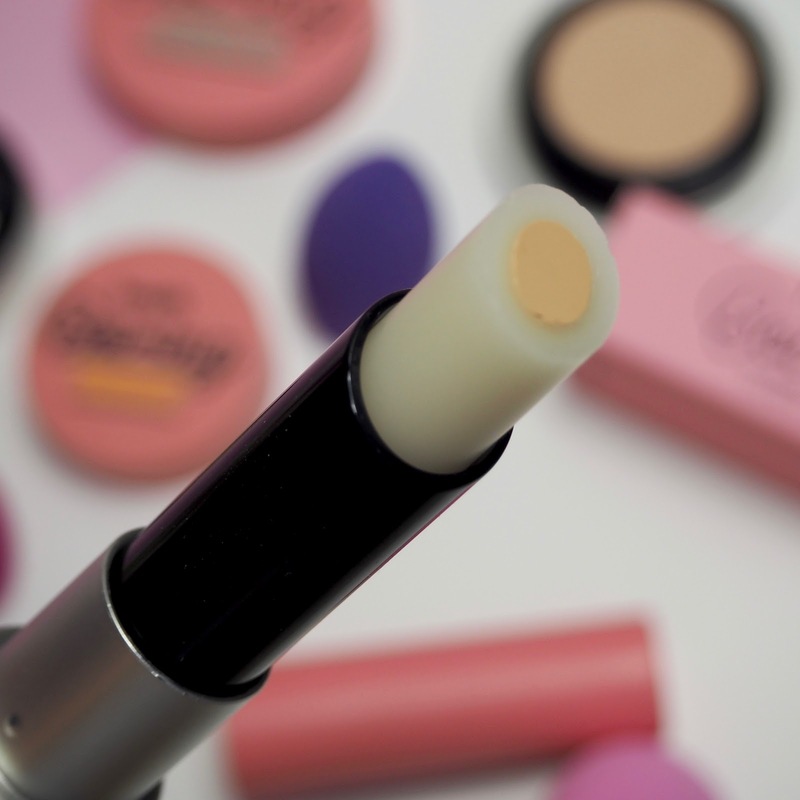 I'll use this concealer anywhere it's needed - particularly on my cheeks and forehead, under my eyes and around my nose. It totally covers blemishes and discolouration and means I use a lot less foundation for a flawless, even looking finish. This is my pick of the bunch. The new airbrush concealer aims to cover all your imperfections whilst remaining lightweight and virtually undetectable. I rather like this one for under the eyes, but it's not my favourite when compared to the others in the range. 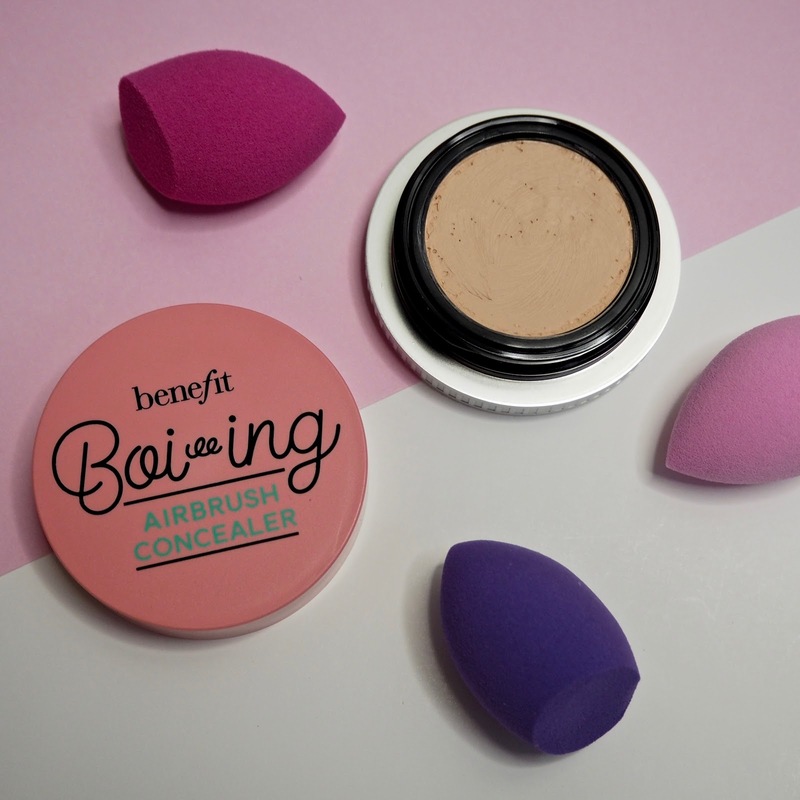 It's a great concealer, but I prefer the coverage of the Boi-ing Industrial Strength and the brightening effects from the Boi-ing Brightening concealer. If you need a little less coverage than me, then I think this is a great option as it does blend seamlessly into the skin and creases less under the eye than most concealers I've tried. 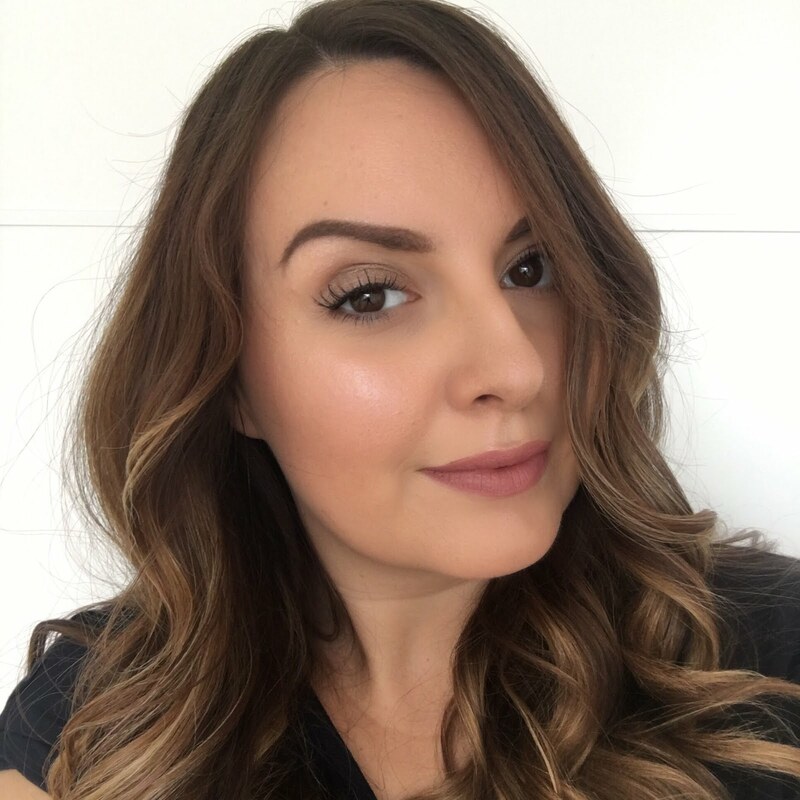 This concealer (previously called fake-up) takes a much more subtle approach - the coverage is as light as the texture and there's no way this could ever look crepey or cakey. It's also very easy to apply in its twist up stick form - you can literally just draw it on if you like. It's brilliant if you have dry skin and particularly for a dry undereye area, which I really struggle with in the colder months (ie most of the year). For me, I need a fuller coverage to deal with my eye bags, so this is a concealer I combine for under the eyes - the Boi-ing Hydrating concealer going on first to prep and hydrate the under eye and then the Boi-ing Brightening Concealer over the top to amp up the disguising of the dark circles. If you don't wear much makeup but just want a light touch-up under the eyes, this one would be perfect. 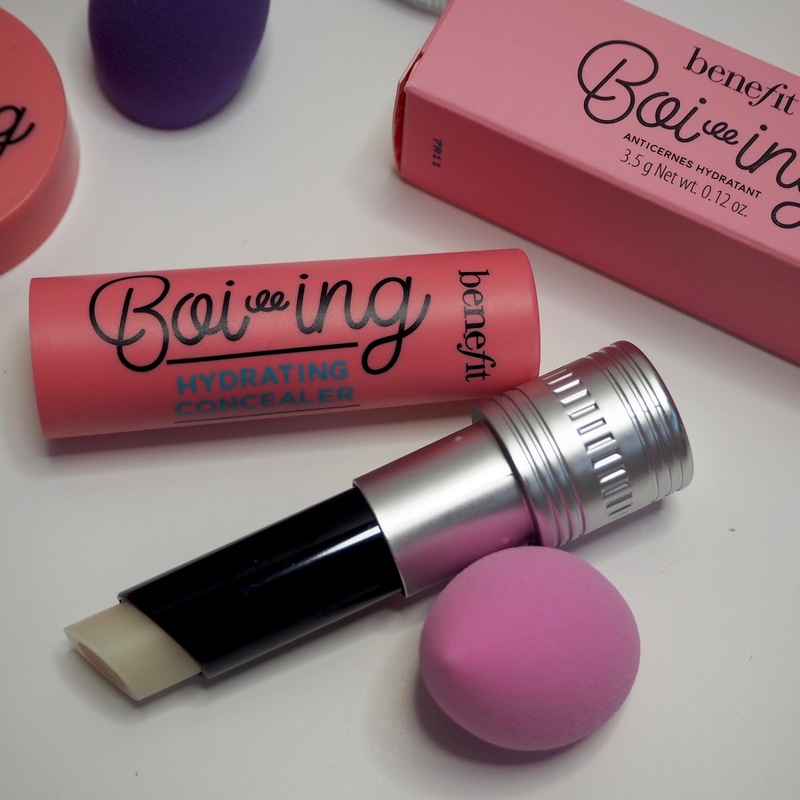 Have you tried any of the new Boi-ing range and do you have a favourite?